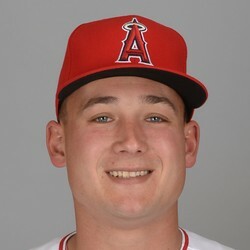 1B Matt Thaiss will share playing time with CJ Cron, Luis Valbuena and Jefry Marte during Spring Training as the Angels decide on their first baseman to start the season. 21-year-old Matt Thaiss slashed .292/.361/.462 with six home runs and 43 RBI in 67 games in his first taste of action since being taken in the first round of the MLB Amateur Draft. The left-hander is the Angels' top prospect, although it is a depleted farm system and is expected to reach the majors in 2019.